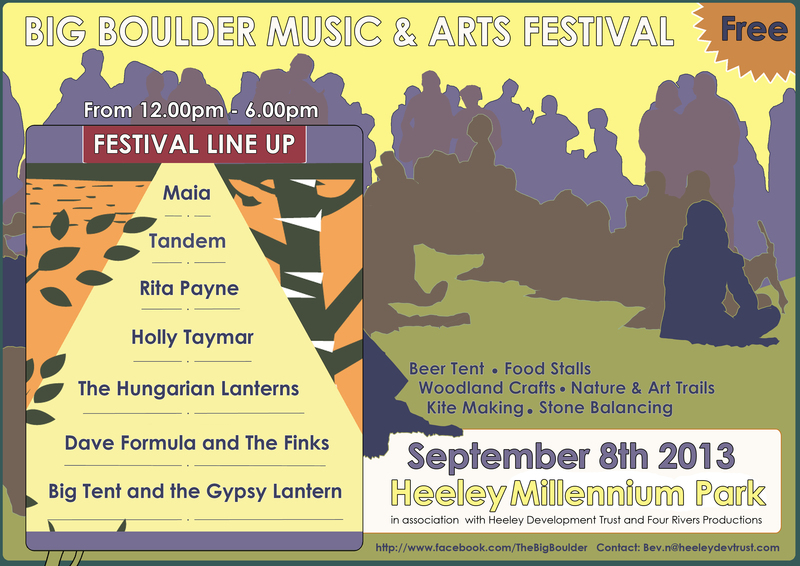 The Big Boulder Music and Arts Festival – Sunday 8th Sept – 12noon to 6pm | IT'S HAPPENING IN HEELEY! 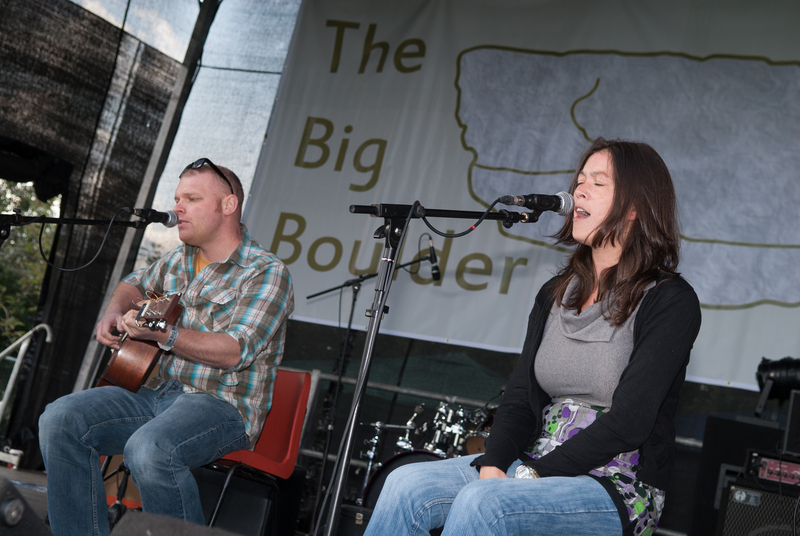 The second annual Big Boulder Music and Arts Festival will be taking place at Heeley Millennium Park on Sunday, September 8th from 12noon – 6pm. The festival has been organised by the Heeley Development Trust (HDT), in partnership with local promoters Four Rivers, to build on the success of several smaller local gigs at The Heeley Institute and will provide the community with an afternoon of free live music from up and coming bands and established festival favourites. Local acts Tandem and The Hungarian Lanterns will be joined by Rita Payne, Maia, and Big Tent and the Gypsy Lantern. Former Magazine and Visage keyboardist Dave Formula will also be performing with his new band The Finks. There will also be free craft activities for children, with kite-making, woodland crafts and nature trails and environment arts collective ResponsibleFishingUK will be providing stone balancing sessions, with members of the public encouraged to create seemingly impossible towers of stone. An array of bus services more than make up for the limited car-parking spaces around the park, with the 20, 20A, 25, 25A, 43, 44 and 53 stopping at the Heeley Retail Park and the 47 and 48 allowing revellers to alight at Spencer Road.